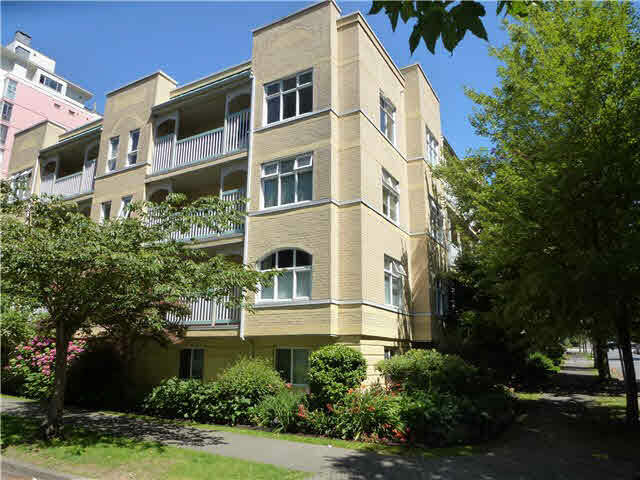 RARELY AVAILABLE TOP FLOOR UNIT IN GILFORD COURT. The location can't be beaten-West of Denman, moments away from English Bay, the Seawall, Stanley Park, the beaches & all the amenities of Denman, Davie, & Robson Streets. In a wood-framed building you will want to be on the top floor & this bright south-east unit with 11-foot ceilings in the living room promises quiet. Well maintained with some updates (laminate floors in 2009)#402 will suit many buyers as it is but also offers renovators a great opportunity. The connected full & half bathrooms are an effective way of serving both bedrooms. The well-maintained building has been rain-screened (approx. 2006), & re-piped (approx. 2011. Showings by appointment only. Please Text.